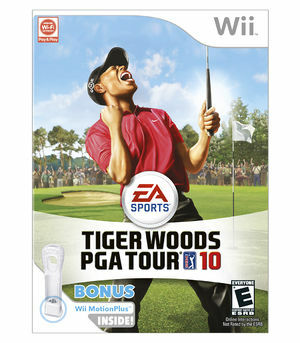 Feel the drama of playing tournament golf with Tiger Woods PGA Tour 10. For the first time in franchise history, take aim at capturing the U.S. Open Championship on the ever-challenging Bethpage Black. Playing in front of huge galleries and hearing crowd reactions from nearby holes, take your game to the next level when it matters most as you try to hold off a charging Tiger Woods and other PGA TOUR Pros. Whether you're fighting the course, the crowd, dynamic weather conditions, or the field, feel the drama on every swing with Tiger Woods PGA Tour 10. The graph below charts the compatibility with Tiger Woods PGA Tour 10 since Dolphin's 2.0 release, listing revisions only where a compatibility change occurred.